Our friends at the Fairfax County Department of Transportation asked us to help spread the word that two full-time positions with benefits with FCDOT’s Capital Projects and Traffic Engineering Division are available for qualified applicants. These are excellent opportunities for the right individuals to have a direct impact on making bicycling better in Fairfax County. The first position is for a Bicycle Pedestrian Transportation Planner, who is responsible for project management for bicycle and pedestrian transportation capital projects and non-capital program areas and outreach. A competitive candidate will need a bachelor's degree in civil engineering, urban, regional or transportation planning, or a closely related field plus two years of experience related to transportation planning. More details about the position, requirements, and pay and benefits can be found here. The job listing closes this Friday at 5:00 pm. 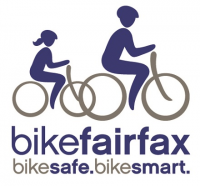 The next opening is for a Bicycle Program Coordinator, who directly manages and oversees the county's comprehensive bicycle program BikeFairfax. This includes supervising other planners and managing capital projects, Capital Bikeshare, County Bike Parking, non-capital program areas and outreach. For this position, a competitive candidate needs four years of transportation-related planning experience in addition to a bachelor's degree in civil engineering, urban, regional or transportation planning, or a closely related field. More details on the position, requirements, and pay and benefits can be found here. This listing ends on February 9 at 5:00 pm.